Cut cheese into rough cubes, about 1/2 to 1 inch square. Place cubes in a sturdy food processor fitted with the regular blade. Pulse cheese in a couple 3-second increments. At first, it will be really loud, but as the cheese breaks down, the machine will get quieter. Continue to process, running the processor in longer intervals, until cheese reaches the desired size, a minute or two. For most recipes, you don’t need a super fine powder (if you do, that would be one of the few occasions to go through the trouble of using a box grater). If you’re concerned about your food processor’s capabilities, try starting with smaller chunks of cheese, so the processor doesn’t have to work as hard to break them down. Use immediately or store grated cheese in an air tight container in the refrigerator. Use a large, sharp knife to carefully remove any rind from the cheese. It's okay to leave a thin layer of cheese attached to the rind: it will flavor any dish you use the rind in, and it will save you from slicing off your fingertip. (what to do with the rind). 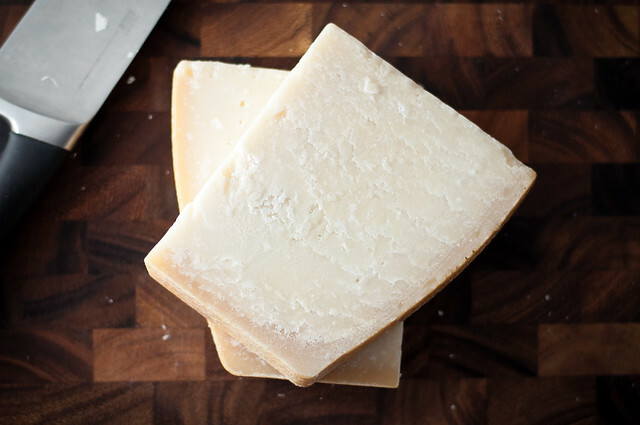 Cut cheese into rough cubes, about ½ to 1 inch square. Place cubes in a sturdy food processor fitted with the regular blade. Pulse cheese in a couple 3-second increments. At first, it will be really loud, but as the cheese breaks down, the machine will get quieter. Continue to process, running the processor in longer intervals, until cheese reaches the desired size, a minute or two. For most recipes, you don't need a super fine powder (if you do, that would be one of the few occasions to go through the trouble of using a box grater). A separate post is up with my favorite (quick!) recipe using finely grated parm: tomato soup with parmesan crusted croutons. 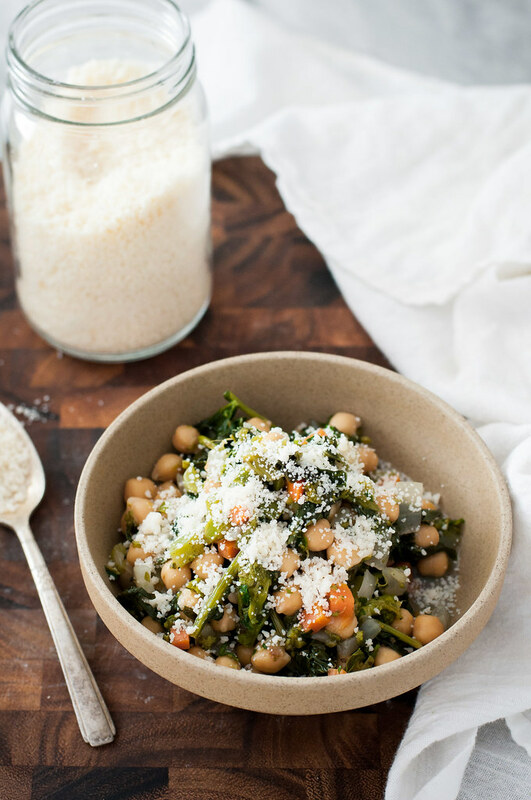 I also love this simple, rustic bowl of chickpeas and broccoli rabe, made complete with a sprinkle of your freshly grated parmesan. It’s a simple, healthy dinner or make ahead work lunch. If cooking the beans yourself (from about 1¼ cup dried beans), boil them with any of the following you have on hand: bay leaf, quartered onion, parsley sprigs, sliced garlic clove, and a splash of olive oil. Remove leaves from the broccoli rabe, wash, and roughly chop. Use a vegetable peeler to peel the stalks, then chop them (and the florets) finely and combine with the leaves. In a large skillet, heat oil over medium, then add onion, carrot, bay leaf, and oregano. Cook, stirring, until vegetables are softened, 8 to 10 minutes. Add broccoli rabe and 1 cup of the liquid and cook until the leaves are wilted. Add the garbanzo beans and simmer gently about 20 minutes, until broccoli rabe stems are soft and no longer bitter. If the pan gets dry, add more of the liquid: you want to end up with some broth in the pan, but not enough for a traditional soup. Season with salt and pepper and serve in bowls with the prescribed accompaniments, being generous with the cheese. 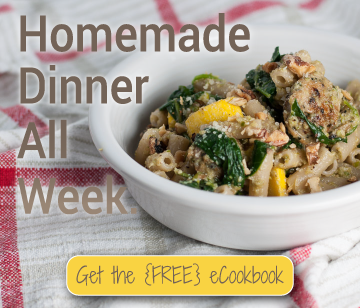 Adapted from the must-have cookbook, The New Vegetarian Cooking for Everyone. I have vivid memories of many a spaghetti dinner in the midwest as a child, especially that image of my dad building a plate full of spaghetti, carefully spreading a thick layer of meat sauce over the top, then making it snow grated parmesan from that clear cannister until you couldn’t see the spaghetti sauce anymore. With such deeply entrenched memories of packaged grated parmesan, it took some convincing before I started regularly grating my own parmesan cheese at home. Luckily, some recent news is making that argument easier. Many packaged grated parmesan cheese brands contain cellulose to keep the cheese from clumping. It’s an additive that is also the main ingredient in paper, and it contains gluten (see link below). Personally, I’d take a moment to break up a bit of congealed cheese over eating paper. 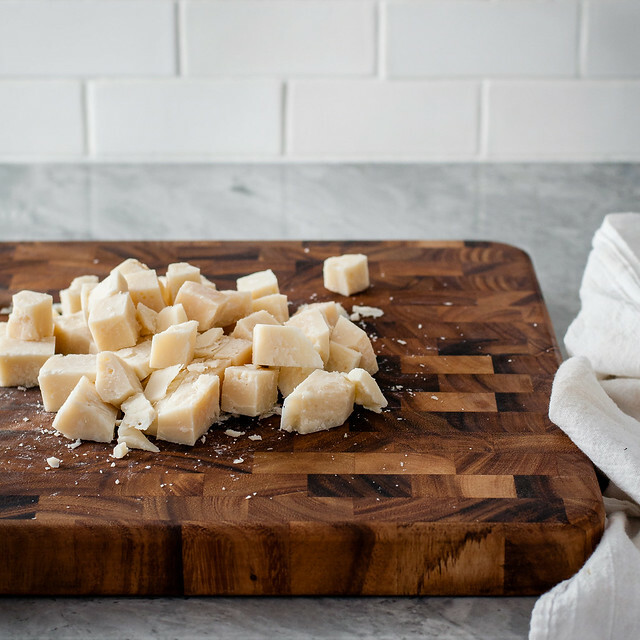 Even scarier, many products advertised as “100% parmesan”, especially grated varieties, actually contain wood pulp or other types of cheese, as recently reported by the FDA! So this how-to comes at the perfect time! With all of the options for processed, yet convenient, ingredients out there, our job as consumers and cooks is pretty complicated. 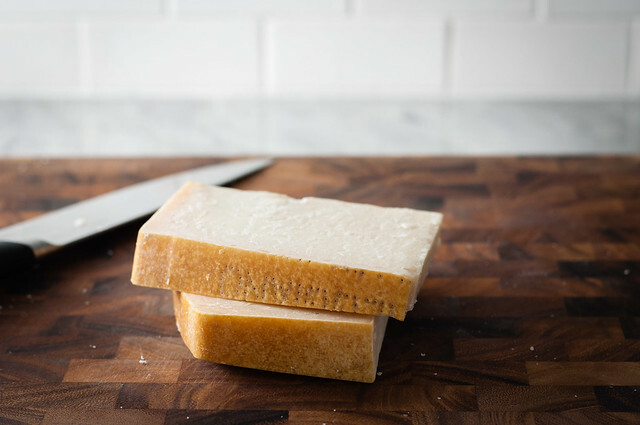 As the wood-pulp-parmesan scandal highlights, we can’t take packaging promises at face value, and we can’t rely on an overburdened agency to get phony products off the shelves immediately (or ever). So what do we do? Use the time we have, which sometimes isn’t much, to make ingredients homemade whenever possible. It’s a tradeoff, I’ll admit. Maybe for dinner tonight, you buy your tomato sauce in a jar but grate your own parm. I’d definitely settle for that (and have many times!). My informal culinary education (i.e., Food Network) has taught me that parmesan cheese with the name stamped on the rind is the real, high quality deal. Fortunately, it’s not limited to fancy cheese shops. Usually I find the good stuff at Costco (or Sam’s Club) or Trader Joe’s for the best price. Most conventional grocery stores have a good Parmigiano-Reggiano if you look for it. If you can’t find what I’ve just described, or it’s a little more than you’d like to pay for parmesan cheese, this food processor grating method will still work with blocks labeled “parmesan”, and it’s infinitely better than buying a highly processed grated version. The steps above really work best with a mid-grade or better food processor (see links up top). If you have a mini food processor, which is not a crime, you risk breaking the blade or burning out the tiny motor. So are you limited to spending hours grating parmesan cheese by hand on a box grater? I don’t think so. 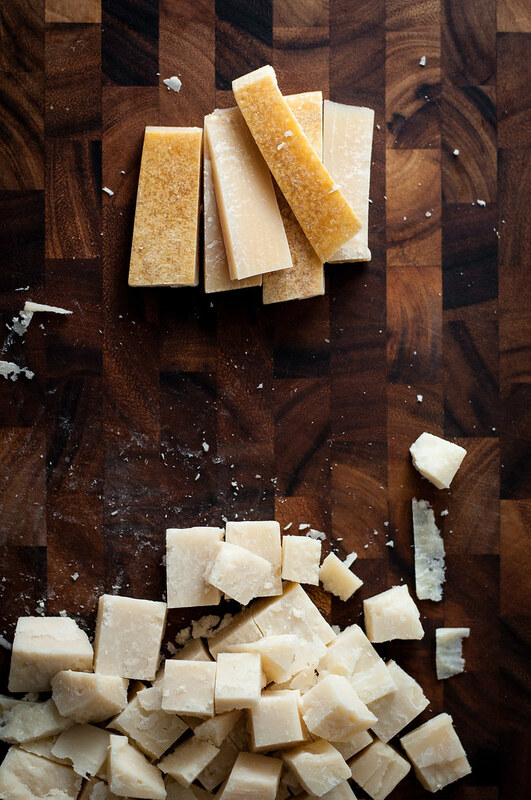 Your first option is to cut the parmesan into much smaller chunks, maybe 1/4 inch. 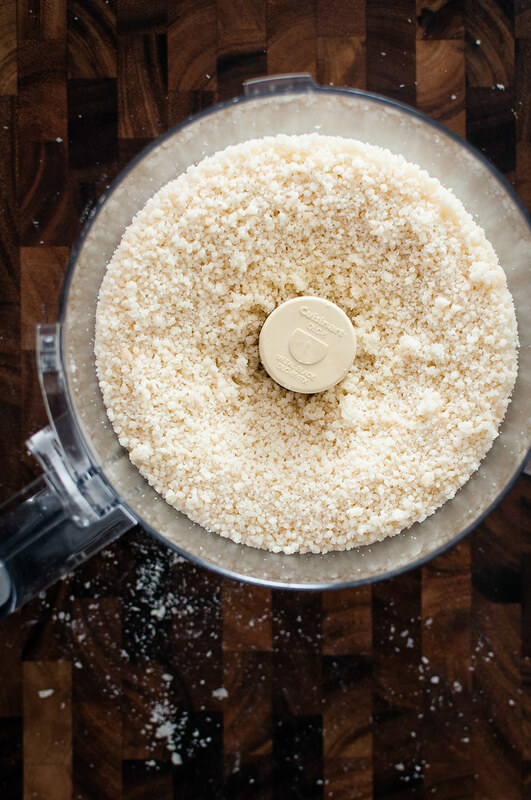 You’ll spend more time preparing it, but you can still have your homemade freshly grated parm in less time than it takes to do it on a box grater. 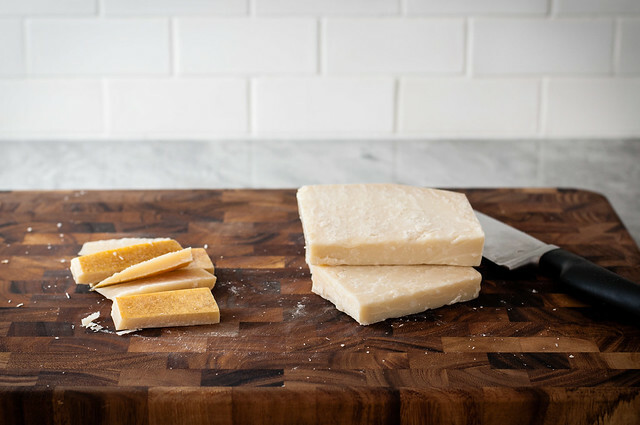 What I haven’t mentioned yet is that there are a few packaged grated parmesan varieties that tend to be fresh and free of cellulose or other types of “filler” cheese. Look for bags or containers with the store label in a refrigerator case. Both are indicators that the store recently did the work for you, and hopefully the ingredient list will indicate that they didn’t add anything nasty. 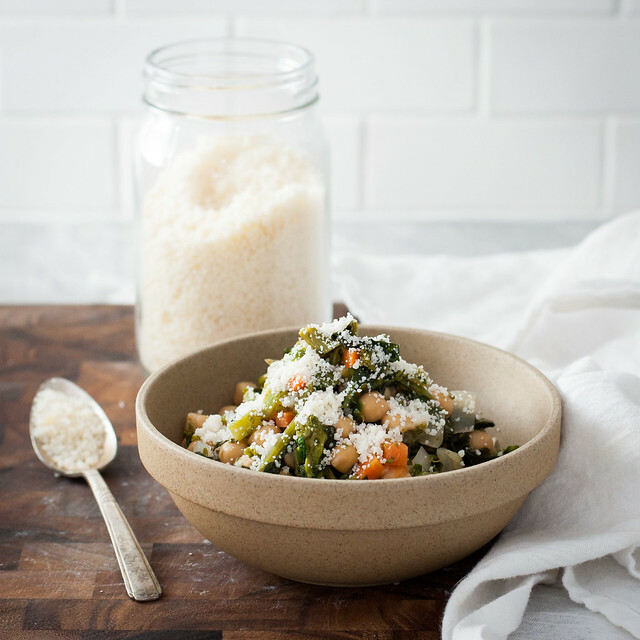 It will definitely be more expensive than buying blocks or the cheap, processed grated parmesan, but it’s a worthy splurge for the right dish. Should I throw the rinds away? Nooooooooo!!!!!!!!! I mean, no, please don’t. Rinse those things off and store them in the refrigerator or freezer. Next time you’re making homemade spaghetti sauce (or want to give the store bought sauce a boost), vegetable stock, or soup, toss in a few rinds! 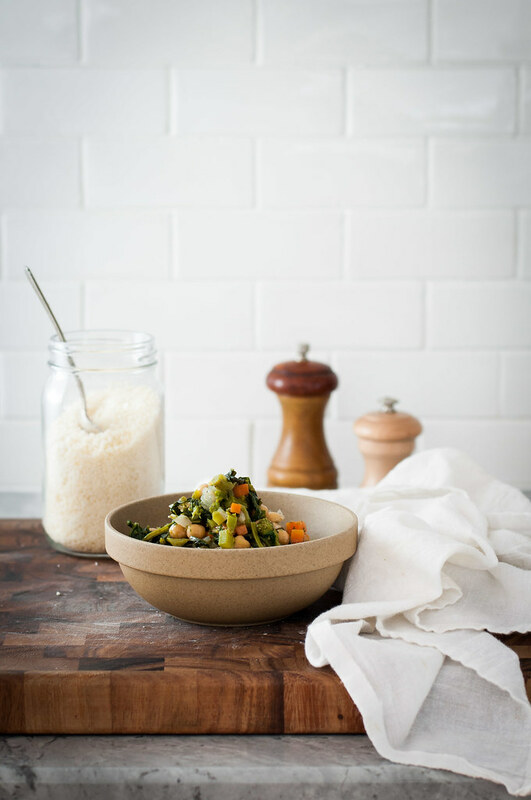 It will change your taste buds forever, elevating ordinary vegetable soup to a rich, smoky level you’ve never before experienced. Here’s a great recipe for homemade parmesan broth, if you accumulate a large stockpile of parm rinds. Sprinkle it on anything Italian, from basic spaghetti to gluten free eggplant parm bake. Make the best croutons you’ve ever tasted. Use it in homemade pesto (bonus: the food processor is already set up!). Cook up the best homemade cheesy potatoes. 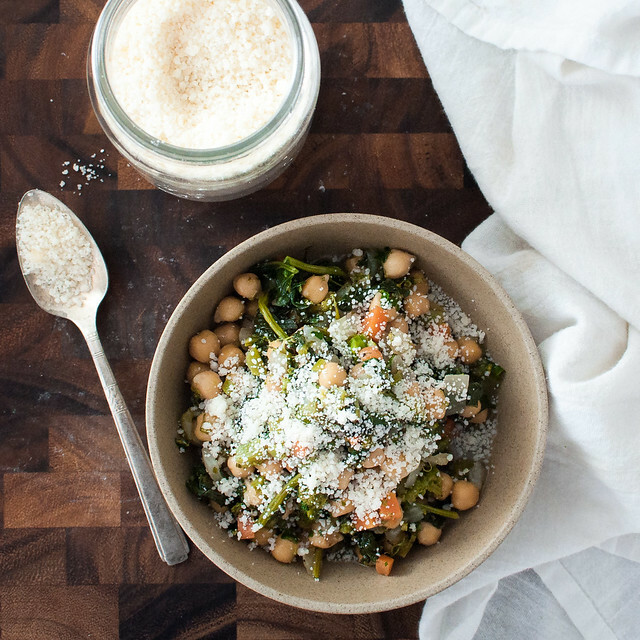 Mix it into simple soups, like the chickpea and broccoli rabe recipe above. What’s the model of the food processor you purchased from Costco. your link is no longer active. Thank you. Thanks for the tips. I wish you would use black type and not greyscale as it’s very difficult for some of us to read.